The table tomato of royal sponsorship is grown of the genus of red color with firm flesh that tastes sweet and sour. 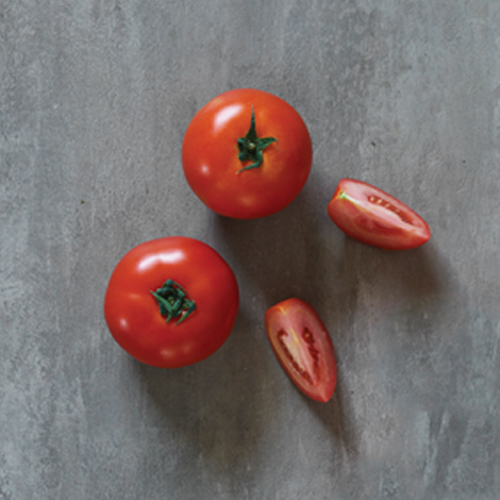 This kind of tomato is a source of potassium, beta-carotene, vitamin C ,and vitamin E. It also contains lycopene to help prevent cancer. It is commonly eaten fresh with salad. For preparation of food recipes, it can be processed in blender or slightly heated up over fire, just long enough to dissolve and draw out the crystal-like substance. Too long heating up disintegrates the nutrients.